Reflexology, or zone therapy, is an alternative medicine involving the physical act of applying pressure to the feet, hands, or ears with specific thumb, finger, and hand techniques without the use of oil or lotion. It is based on what reflexologists claim to be a system of zones and reflex areas that they say reflect an image of the body on the feet and hands, with the promise that such work effects a physical change to the body. 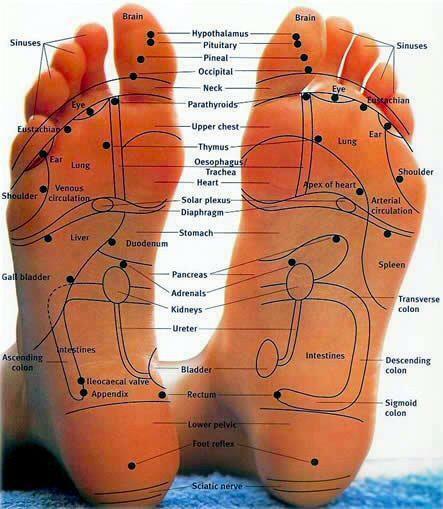 Single foot reflexology treatments or a course of ten foor reflexology treatments are available on request.